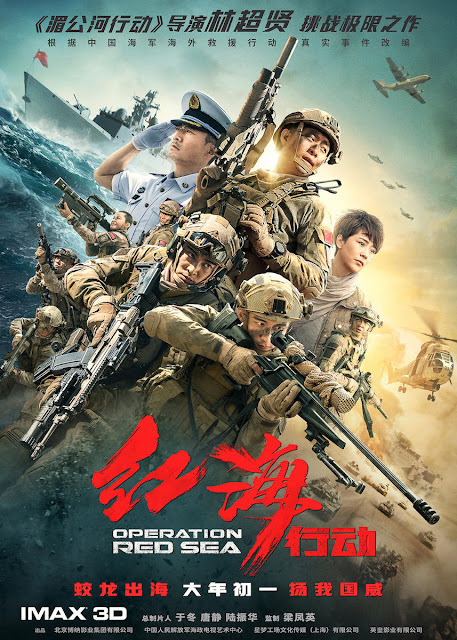 PennsylvAsia: Upcoming film Operation Red Sea (红海行动), sequel to 2016's Operation Mekong, in Pittsburgh in February. Upcoming film Operation Red Sea (红海行动), sequel to 2016's Operation Mekong, in Pittsburgh in February. The Chinese Navy’s Jiaolong (“Sea Dragon”) Assault Team is famed for its skill in getting the job done. After its success in rescuing a cargo ship hijacked by pirates off the Somalia coast, the team is assigned an even more perilous mission. A coup in a North African republic has left local Chinese residents in danger, circumstances further complicated by a terrorist plot to obtain nuclear materials. The situation could prove fatal to the hostages and disastrous to the entire region, and presents Jiaolong with a challenge that threatens the very existence of the team and its members. Tickets and showtime information is not yet available. Operation Red Sea will play at AMC Loews Waterfront in West Homestead (map), which will also play upcoming Chinese films The Monkey King 3 (西遊記女兒國) and Monster Hunt 2 (捉妖記2) next month.